Conversation Cards, as presented by ClaudiaM Publications, contain artwork enriched by a philosophic life statement. The cards are blank inside, appropriate for any occasion, or no occasion. They are designed to promote thought and discussion about life's challenges. 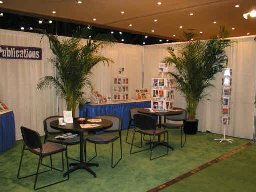 ClaudiaM Publications will make its debut this year in booth 2054 of the National Stationery Show, May 18-21, 2003, at the Jacob K. Javits Center in New York City. It has been in operation since 2001, and is based out of Huntington, New York. 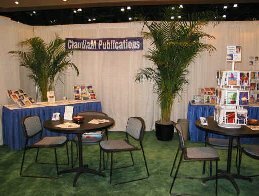 ClaudiaM Publications is represented on the east coast of the United States by American Trading. For more information, contact Claudia Markovich, reachable during the Stationery Show by cell phone at (516) 381-1982, and at other times at the company at (800) 241-0776.